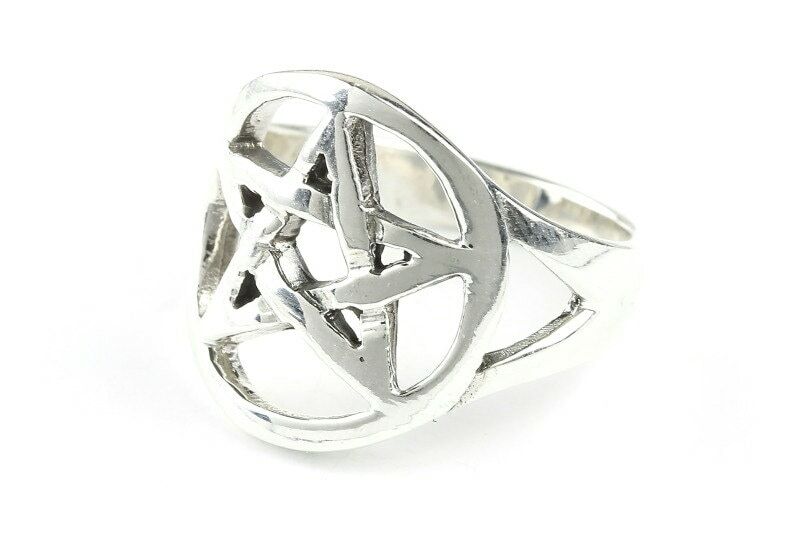 Sterling silver pentacle or pentagram ring. 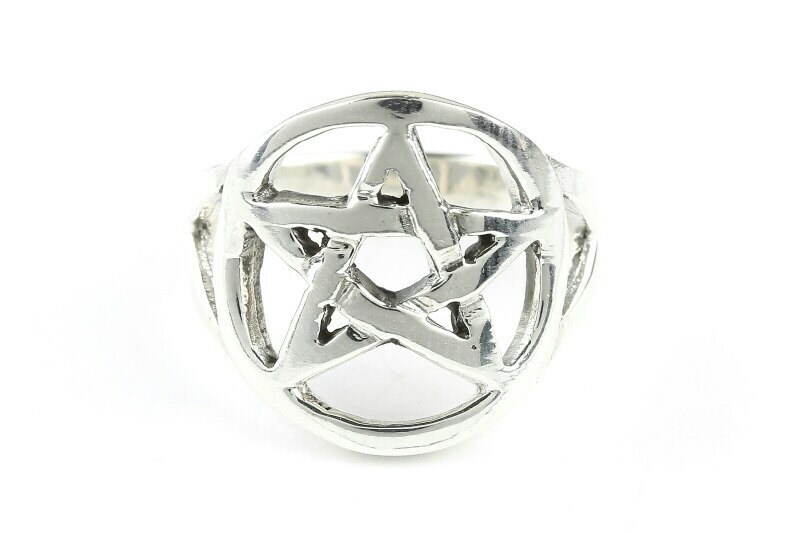 The five points of the star represent the elements of the earth. The upward facing point the spirit, and the four remaining represent earth, air, fire, and water. Iwas worried the ring would not arrive because of Hurricane Irma, I am so sorry I did not realize it was coming from Florida. The ring came in under a week, and is terrific! It is just like the one I lost years ago. I hope everything is okay down there where you live. Thank you again for the ring!